There is no bigger thrill for a rock and roll sax player than channelling Steve Douglas, Jim Horn, Gil Bernal, and Plas Johnson with Rock and Roll Hall of Fame Member, the King of Twang, Duane Eddy. 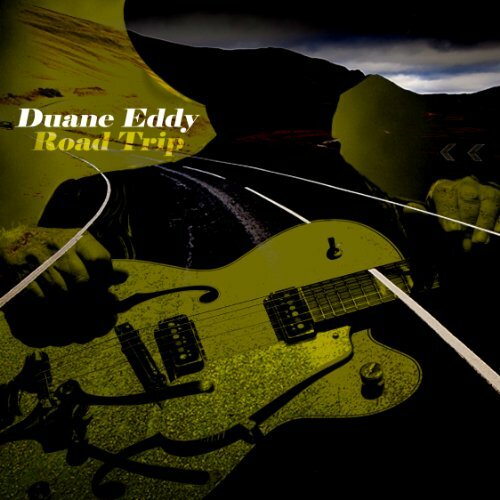 I love Duane Eddy. For all he’s done for the guitar, don’t forget what he’s done for the saxophone. Those names above alone should tell you. I’ve been in so many situations with Duane where I mention a song or phrase where it’s “musician speak” to me and my friends, but to Duane–well, he came up with it. There ain’t anything more rock and roll than Duane, and he’s the sweetest, most genuine man around. Duane Eddy and his band. Viva Las Vegas, 2018. L-R. Brett Simons, Ashley Kingman, RD, Duane, Phil Jones, Carl Sonny Leyland. 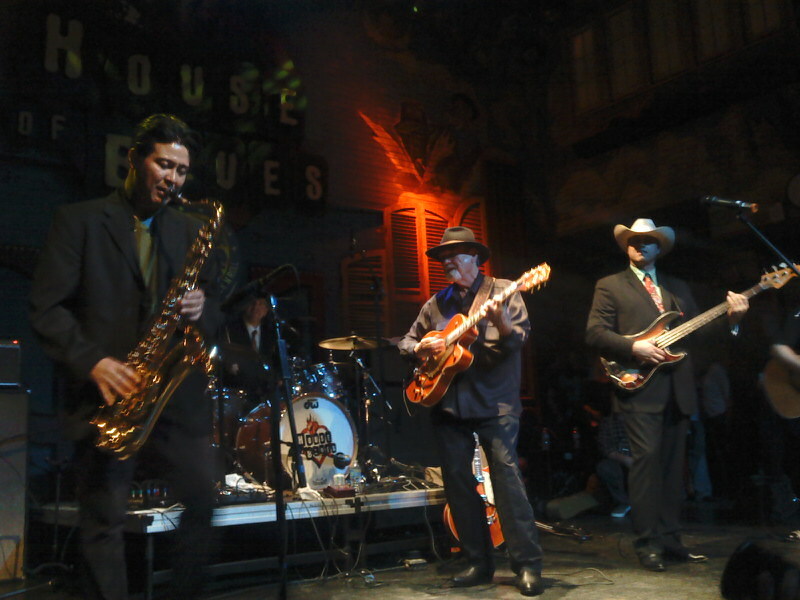 Ron Dziubla, Duane Eddy, and Deke Dickerson at the Ponderosa Stomp at the House of Blues in New Orleans, LA, 2010. –Duane Eddy from his interview with Alex Woodward in http://www.bestofneworleans.com/blogofneworleans/archives/2010/09/22/ponderosa-stomp-preview-duane-eddy. September 22, 2010. Ron Dziubla and Duane Eddy at the Glastonbury Festival, UK, 2011. A bit of textbook Ron Dziubla solo on the modern Duane Eddy track “Primeval” at the 100 Club in London, UK. More textbook Ron Dziubla solo on the modern Duane Eddy track “Curveball” at the Glastonbury Festival, June 2011. Ron appears on Duane’s record “Road Trip,” recorded at Yellow Arch Studios in Sheffield, UK. It was Duane’s first studio record in 30 years. 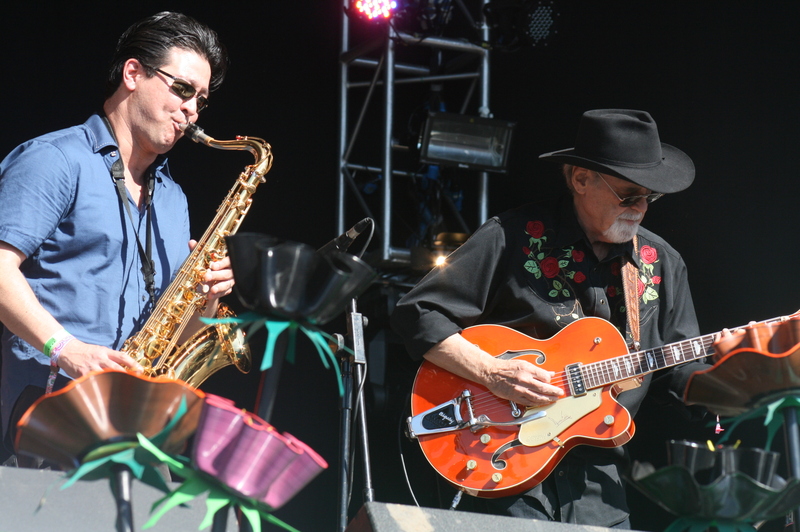 Duane Eddy and his band at the Stagecoach Festival, Indio CA, 2014. 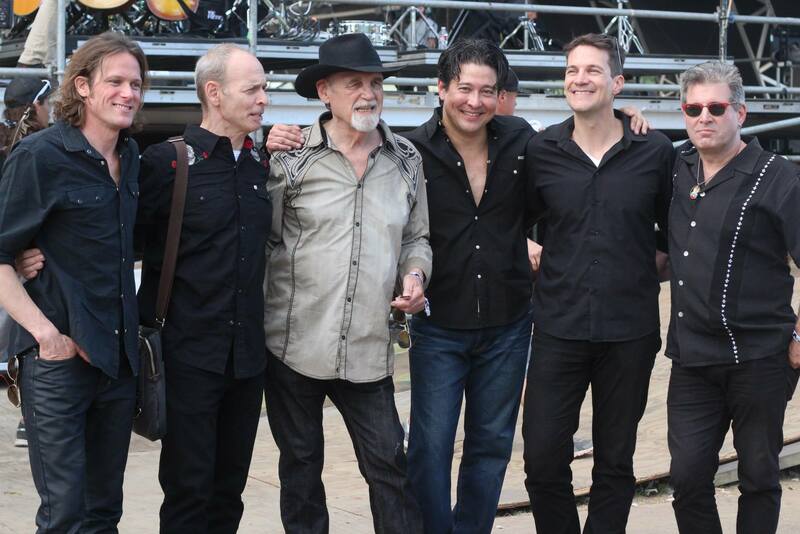 Brett Simons, Wayne Kramer, Duane, Ron Dziubla, Kevin Stevens, and Randy Leago.